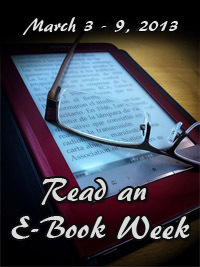 Discounting Inertia at SmashWords for Read an Ebook Month was such a success that I’ve decided to continue celebrating the month over at All Romance Ebooks by offering Inertia for 50% for the next two weeks. So if you missed downloading it for free at SmashWords (offer ends today) you still have two more weeks to get it at half-price. I will also be offering it at half-price at SmashWords as well! This week, the first book of my Impulse trilogy, Inertia, is available through SmashWords for free. To get your free copy, simply purchase Inertia on SmashWords using the coupon code RW100. Note, this does not begin until SUNDAY MARCH 3, 2013. This offer only extends to Inertia. Be sure to take this opportunity to get familiar with Derrick, Gavin, and their lovely story!